We understand your dilemma of being a diabetic and still be able to enjoy the festivities to the fullest. Having to observe a tremendous degree of restraint in routine life, diabetics would naturally want to give in to the festive treats and mouth-watering delicacies. While enjoying the celebrations and treating your taste buds is okay when followed in moderation, controlling your blood glucose levels is also equally important. Let us help create a win-win situation for you so that you can manage your blood glucose easily and also make the most of the festive spirit. Diabetic diet can be easily managed even during Diwali with natural sweeteners and desserts or sweets prepared using dates or anjeer (figs). Rich in calcium and a good source of fiber, anjeer is nutritious and safe for diabetics, just like dates. What you get: Great delicious taste of all sweets prepared with dates or anjeer and no spike in blood sugar levels. Enjoying fried foods is also possible for diabetics simply by changing the way these dishes are cooked. Air-frying instead of deep frying has the potential to bring down your calorie intake to almost zero. What you get: Reduced amount of trans-fats and calories with effortless blood sugar management. A bit of planning can do wonders to the diet for a diabetic patient. Spread out meals throughout the day instead of stuffing yourself during the three main meals of the day – breakfast, lunch and dinner. A light snack like a bowl of soup or salad before you go out for dinner helps you avoid overeating. Apart from that, eating small meals like fruits at regular intervals can also help maintain your sugar level and prevent binge eating. What you get: Feeling light and active and enjoying the festive spirit with zeal along with well-controlled blood glucose. Socialising has its share of merits and maybe a larger share of demerits in terms of unchecked alcohol consumption. Alcohol prevents carbohydrates from breaking down and hence promotes low blood sugar which can be highly dangerous. What you get: Well nothing really if you are drinking without keeping a check on your blood sugar levels. So be cautious. Okay we know sometimes it is just not possible to control and giving-in either due to temptations or peer pressure seems like an easier way out. But you can control your portions and servings to both enjoy the taste and control your sugar levels. What you get: A smart and easy way out of the societal and diabetic pressure by serving your taste buds and yet being in control of diabetes. 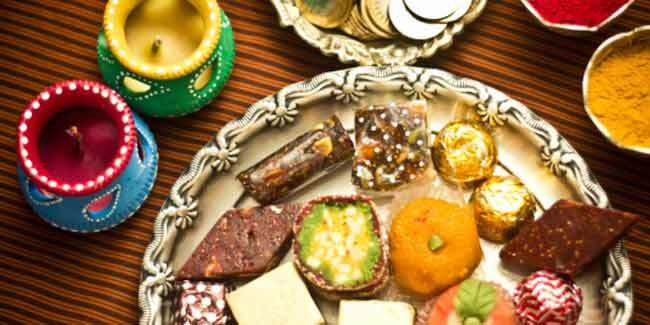 Festivals are all about celebrations and diabetes is all about being consistent in your self-monitoring and management. With these simple tips you will be able to create a win-win situation for yourself without much effort.